Mark Hines is the Director of Mid-Pacific eXploratory (MPX) at Mid-Pacific Institute (MPI), a PreK-12 independent school in Honolulu, Hawaii. MPX is a grade 9 & 10 program that is grounded in integrated, community project-based learning. Students build authentic projects and work on community issues while integrating Math, Science, Language Arts, Social Studies and the Arts. This will be the 6th year of the program. Prior to this role he was Technology Coordinator for MPI for 15 years planning, developing and implementing technology and professional development for teachers, staff and students. In all, he has taught Science, Math and Technology for 35 years. He is passionate about teaching, learning and the future of education. He serves on the Governing Board of The School for Examining Essential Questions of Sustainability (SEEQS) and is past president and current board member of the Hawaii Society for Technology in Education (HSTE). He has also coached high school canoe paddling for 30 years and is a passionate Boy Scout Assistant Scout Master with Troop 10 in Honolulu. Mark consults and presents locally and nationally on issues of deeper learning in schools, technology in education and school transformation. He helps run Kupu Hou Academy, a 4 day teacher workshop that supports teachers building authentic project-based experiences for their students. He is a recipient of the Presidential Award for Math and Science Teaching, a National Tandy Technology Scholar, and a Pacific Technology Foundation Technology Educator of the Year. In 2016 he was recognized by the Hawaii Association of Independent Schools as an “Educator of the Future”. He serves as a planning member of the state-wide Schools of the Future Conference as well as the Hawaii Educational Leadership Summit. 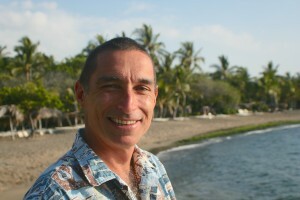 He has a Ph.D in Educational Technology from the University of Hawaii and a B.S. in Physics from Rensselaer Polytechnic Institute. Ofcourse, computers in schools shall help a great deal, the students and teachers to know better the world around them perhaps, these children could also be provided safe drinking water, to improve their health an epecially the Girl Child. Naiade is especially designed to provide safe drinking water without any chemicals and electricity from the grid. Now We’re Cooking – Really!